With our accident free service record, we assure your IT Relocation will be in safe hands. An IT Relocation job can be a stressful process, we are here to take this stress away and make your IT moving process as easy as possible. Caliber is the definition of Calgary’s IT movers, getting the job done right with as little downtime as possible. No matter the size or brand of your IT equipment, Caliber has you covered. With our extensive professional experience our project management and engineering staff assess every detail of your requirements, ensuring a flawless IT Relocation execution with as little business downtime as possible. Every aspect and contingency will be taken into account, making your transition as seamless as possible. With Caliber, we will see your relocation through, every step of the way. We will pack and transport your IT equipment into our custom transport carts with the utmost delicate care. Caliber can also disconnect and re-setup your office IT equipment according to your requirements. 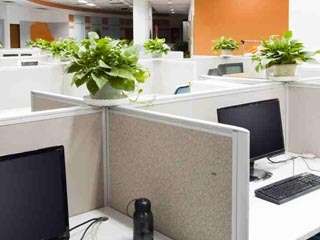 We assure your Office IT Relocation is in safe hands; we are the IT relocating professionals here to work for you. With Caliber, we will see your relocation through, every step of the way. We will pack and transport your IT equipment into our custom flight cases with the outmost delicate care. Caliber can also de-rack and re-rack your IT equipment according to your requirements. We will also see to it that your IT equipment is de-commissioned and re-commissioned with no glitches or bugs to ensure that you are up and running in no time. We assure you that your IT Relocation is in safe hands; we are the IT relocating professionals here to work for you. CONTACT US TO GET STARTED ON YOUR IT RELOCATION PROJECT!